This may be as close as I come to a Tweet. And I doubt I will post it every day. But at least regularly I plan to put a “jazz face” on the blog with a brief comment. I think he has one of the most expressive musical faces in modern jazz. 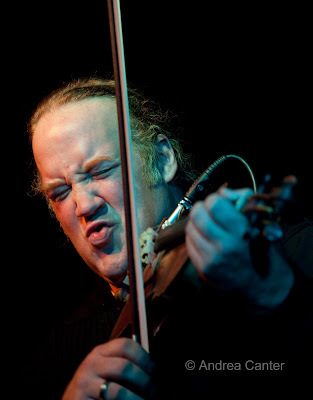 Christian Howes can do anything with a violin, some of which might make Stradivarius shudder (there’s the electric cord, of course, and then the loops). But his face seems as much a part of his music as his four strings and bow. On his recent visit to the Artists Quarter, his loops added mystery to “Nardis” and his original compositions sometimes seemed closer to Stravinsky than Coleman. “Jazz is attitude, approach, mindset…,” he told us. And you could see it as well as hear it.